A corporate website, for both product and service companies alike, is considered mandatory in today’s world of internet and technology. However, creating a website from scratch consumes time, effort and money. For those who are not tech-savvy, the internet offers a myriad of cheap and sometimes free web-design templates to use. Choosing the right website template for personal or corporate use is a thought that needs to be sorted out. Once these basic questions are answered and the specific, detailed ideas for the website are set, one may browse through the various templates available for download on the internet and choose the right website template. Sometimes, the hosting company may offer free templates available for download in the control panel. 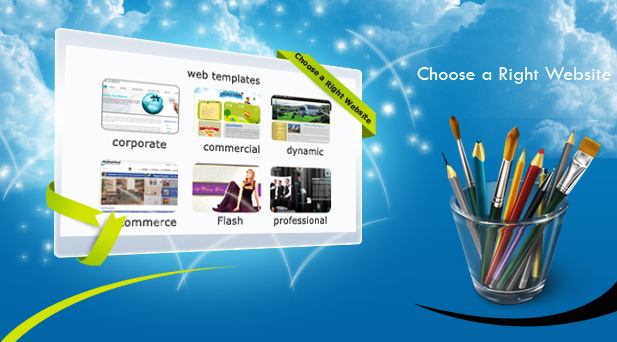 One might also have the option in the type of templates – Flash, CSS, HTML and the like. Some website templates that are free to download may look and feel great but may fail when it comes to customizing it to your specific needs. Paid downloads are a better option when a lot of customization is required, especially when one is not well-versed with the platform and the languages used for creating the website.